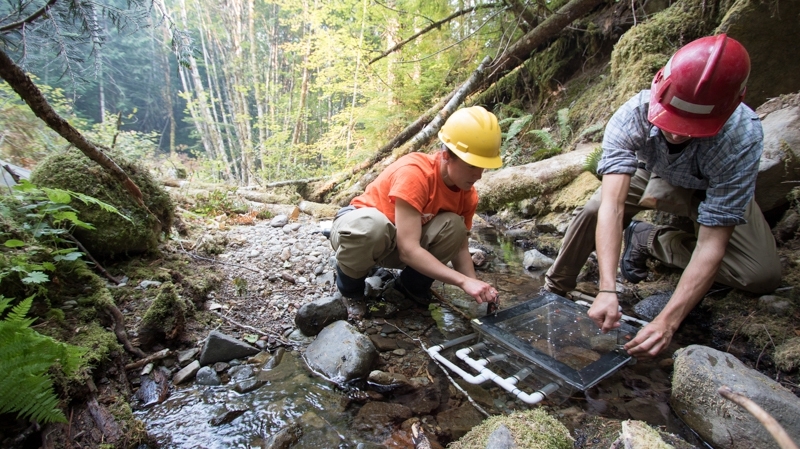 "Distribution and ecological implications of Fish and Salamanders in Andrews Forest Stream Network" presented by Brooke Penauluna, USFS PNW; Dana Warren, OSU; Ivan Arismendi, OSU; Sherri Johnson, USFS PNW. Additional topics will follow, including updates from the graduate students, and the Willamette National Forest. Monthly meetings are used to share science, news, and opportunities related to the HJ Andrews Experimental Forest and Long-Term Ecological Research program. We start with a science hour and then move into program news and announcements. Anyone is welcome to attend. Monthly meetings are on the first Friday of the month during the academic year, from 9 AM - 11 AM. The next meetings will be May 3 and June 7.